* Seven days online support thru our ECOsmarte Cloud App, 24/7 Interactive. Available on Apple, Amazon and Google Play. * Products installed in all 50 US States and 130 Countries since 1994. * If you wish to exchange any ECOsmarte System within 60 days you will incur shipping and a 15% restocking fee. 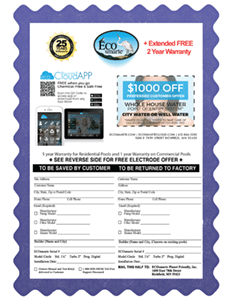 ECOsmarte is proud to offer one of the best warranties in the industry. 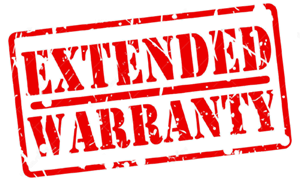 As part of our 25th Anniversary we are proud to offer a FREE TWO YEAR Extended Warranty - FIVE YEARS total and non-prorated.